Looking for adventure that may be off rugged roads? Would you like to return to the comforts of a full bathroom with a shower and a queen bed for a nice nap? This trailer offers those desired features, plus more! Just imagine relaxing on the sofa slide out before your next hike. You can make dinner on the two burner stove-top and store leftovers in the refrigerator. 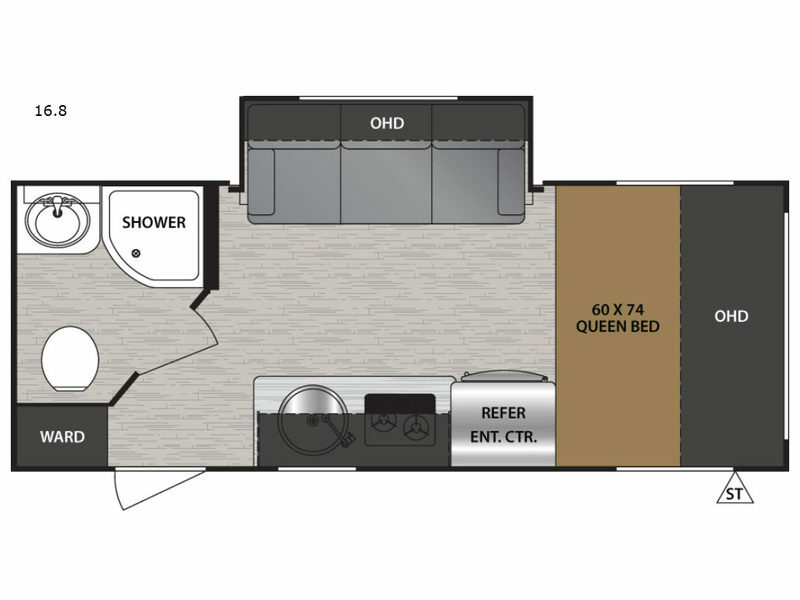 Come see why this unit is perfect for the outdoor enthusiast that enjoys inside comforts!